You are buying the Kendall SureCare Bladder Control Pads 4x9.75 Regular 22/bx Case of 6, Model # 1100B. ADW Diabetes offers a complete line of incontinence products by Kendall such as briefs, protective underwear, underpads, and more. We offer these items in single boxes as well as case packs for your convenience. Shop & Save with ADW Diabetes! 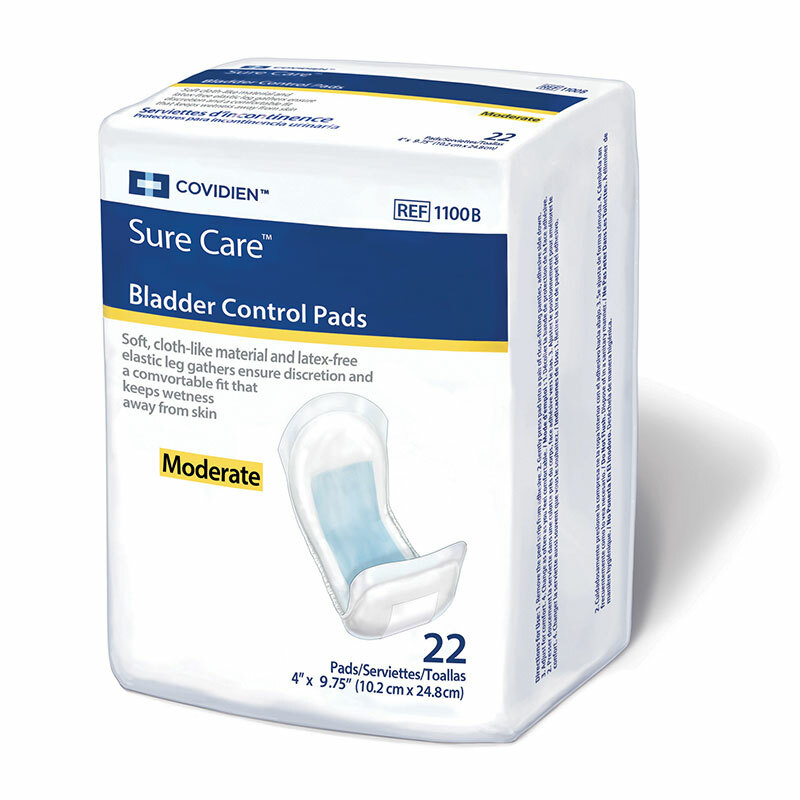 The Kendall SureCare Bladder Control Pads 4x9.75 Regular 22/bx Case of 6, Model # 1100B features a light blue acquisition layer and super-absorbent polymers keeping the skin dry and comfortable. Keeps wetness away from skin.